At the east end of Saint-Emilion, perched at the top of an impressive limestone hill, we find Château de Pressac. 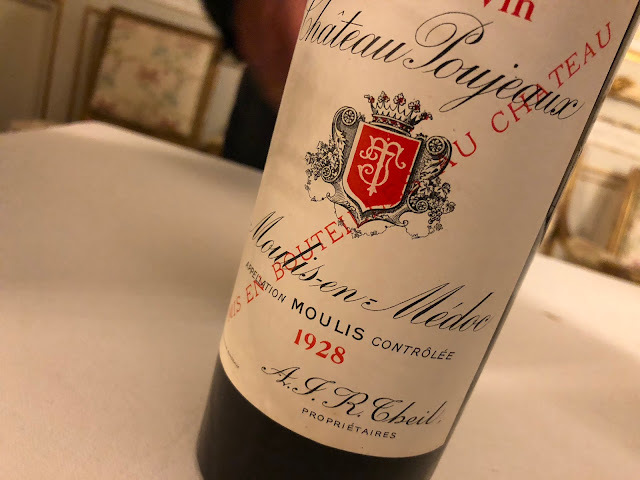 An unknown little gem on great terroir: steep limestone slopes all around, reminiscent of those from the premier grand cru classés that we find on the famous hill a bit to the west, indeed the one with the town of Saint-Emilion on top. It is early August. While looking down over the terraced slopes, and overlooking the Dordogne valley – what an impressive view! – owner Jean-François Quenin elaborates on De Pressac’s unique location, and it doesn’t take much to convince us. 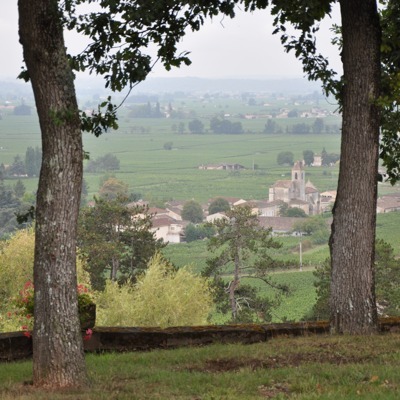 He tells about the connection between the limestone around the town of Saint-Emilion, and the limestone here at De Pressac. 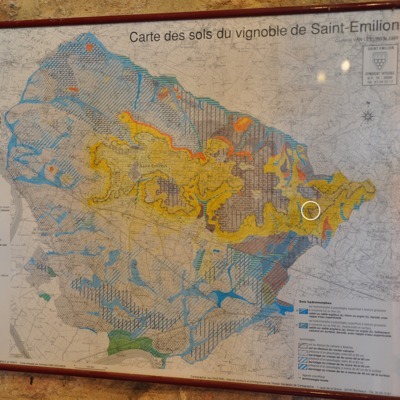 Later Quenin shows us Kees van Leeuwen’s map with the Saint-Emilion soil types, and yes, that map serves as a sort of proof: the De Pressac hill is like a limestone bulge at the right side of Saint-Emilion. With its viewpoint location close to Saint-Etienne-de-Lisse, and more importantly close to the town of Castillon-la-Bataille, De Pressac has a rich history. 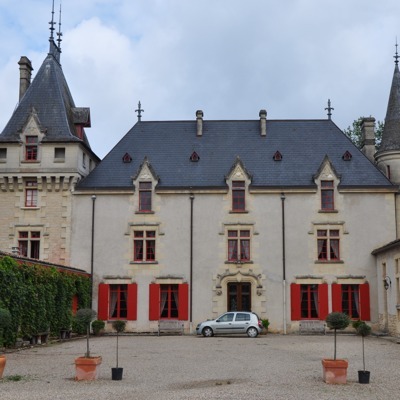 One of the first owners came from the Lot around Cahors and brought the Malbec grape to this place. Soon Malbec was called Pressac, after the name of the château. Today Malbec again forms part of the blend, re-introduced by Quenin who put much effort into tracing the original clone. Quenin did what most people can only fantasize about: buying a potentially great domain in a miserable state, and from close to scratch restore its grandeur. A management buyout led to Quenin’s fortune, and it seems every penny goes into the resurrection of De Pressac. Today the estate covers some 14 hectares (planted with 72% Merlot, 14% Cabernet Franc, 12% Cabernet Sauvignon, 1% Malbec and 1% Carmenère). The cellar is at the same time impressive, and not. Not, because there is no bling bling, everything is functional. From the custom made pigeage devices to gently push down the grapes in the concrete fermentation vats, to the very high tech and very expensive optical sorting machine. No compromise, but no decadence either. Or it must be the prestigious oak barrels made by Quenin’s own cooperage. 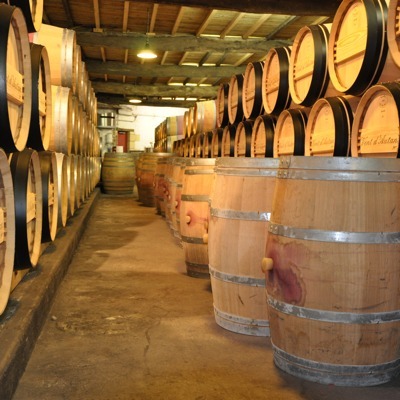 Is he perhaps, with Château Margaux, the only producer in Bordeaux who makes his own barrels? Well, Quenin clearly does not leave anything to chance. 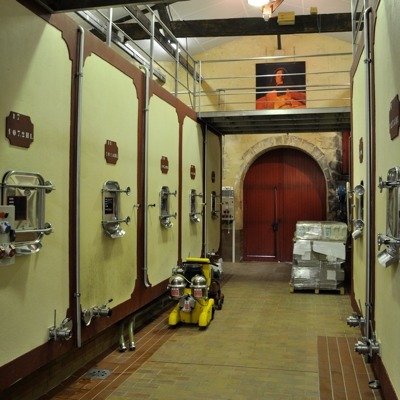 Quenin's own barrels "Vent d'Autan"
We taste several vintages of De Pressac. The wines exhibit the lush and attractive right bank features with juicy sweetish ripe red fruit, some (more or less) oak, and an attractive dark-purple depth. These are friendly wines that will please most people, gentle and supple in the mouth. I prefer the recent vintages 2008 and 2009, showing a lovely freshness and minerality (2008) counter-balancing the generous fruit. Jane Anson mentioned De Pressac as one of the likely candidates for promotion to Grand Cru Classé later this year, or early next year. It wouldn’t surprise me. Or in fact, not at all. I visited De Pressac together with my friends Igor Bijlsma and Joris Roelants. Joris was so kind to take care of the photography.